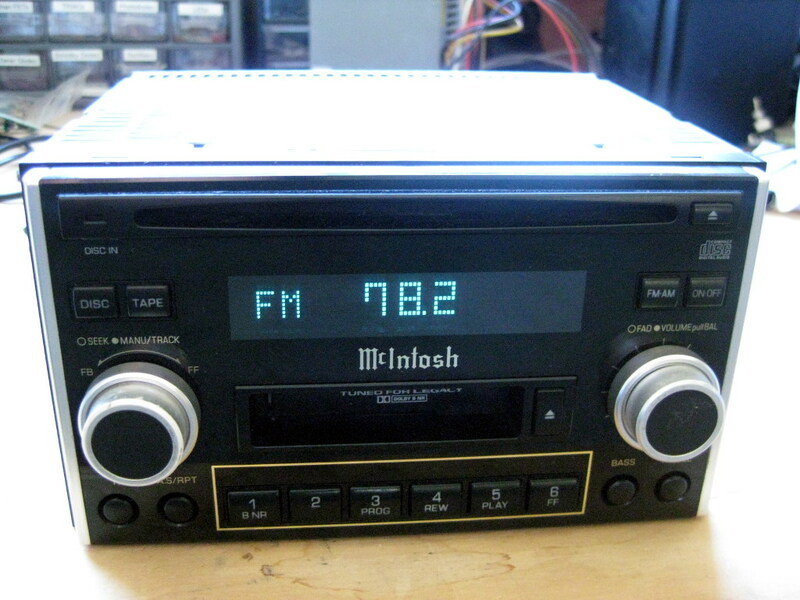 This post describes how to modify a McIntosh PF-2142I (often but incorrectly referred to as PF-21421) JDM car radio to natively tune from 87.5-108MHz as used in most countries around the world. This model of radio is fitted as standard equipment in many JDM Subaru Legacy and Outback cars manufactured between 1998 and 2003. Most Japanese domestic market import car radios are designed to tune from 76-90MHz which means they will not work natively in any other country. You can of course buy a so-called band expander but these usually result in nasty RF harmonics, poor reception and reduced sound quality. They also still restrict you to a 14MHz segment of the 20MHz public FM band and don’t display the correct frequency on the radio. This modification allows the radio to tune local station and display the correct frequency without the need for a band expander! Update: I’ve also added a more generic guide here. The information here certainly applies to virtually any Clarion or McIntosh JDM radio using a Clarion 80-2082AT tuner module. I’ve also successfully applied this to the Clarion PF-1572I and PF-2143I as well. Most minidisc players are designed specifically for the JDM only and cannot be modified. This modification works because Clarion (and other manufacturers) often produce a base head unit design for the international market. The FM band it can tune is simply set by using a specific tuner module and setting the right jumpers to match. While I’m sure I’m not the first person to have figured this out, I dare say it’s the first time someone had decided to publish this information freely on the internet! If you are modding a McIntosh like this one you will also need a suitable amplifier for bench testing as the stereo does not have one inside it. Any type will do; simply use pins 1 and 3 for audio and 6 for ground on the 13-pin audio output connector. Remove the top screw and pry the top cover off using flat screwdriver in each of the four slots. Do the same for the bottom cover. Remove the volume and fader knobs followed by front panel. It is attached via two black clips on each side. Use a small flat screwdriver to push these inwards and carefully slide the panel off. Try to do this evenly to avoid damaging the connectors. 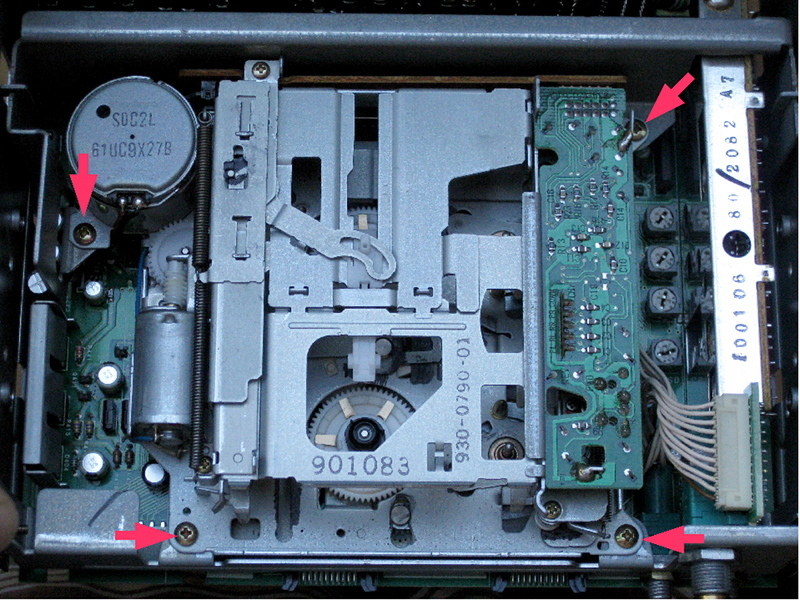 Disconnect the ribbon cable from the front then remove the four screws holding the CD player module in. These are the top two screws on each side of the unit. Lift the CD player out from the top. 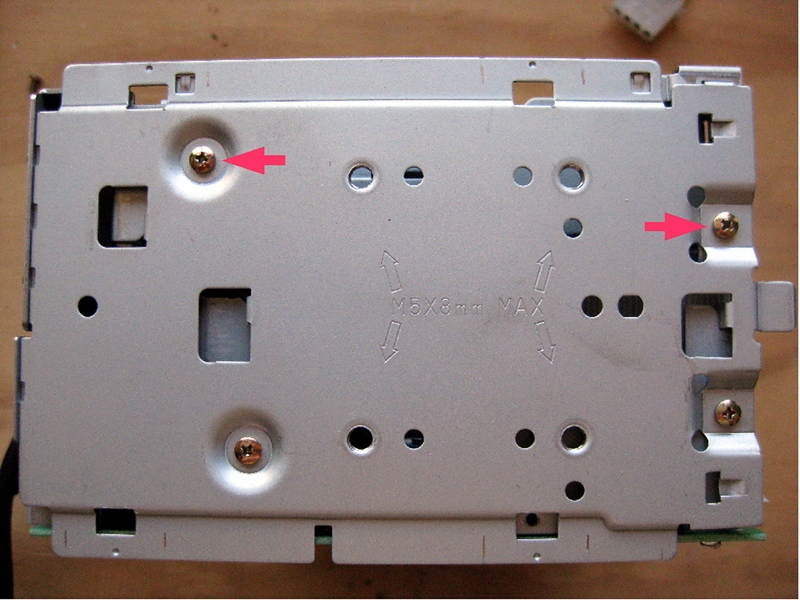 Remove the screw from the each side of the lower rear panel. Leave the panel in place for now. 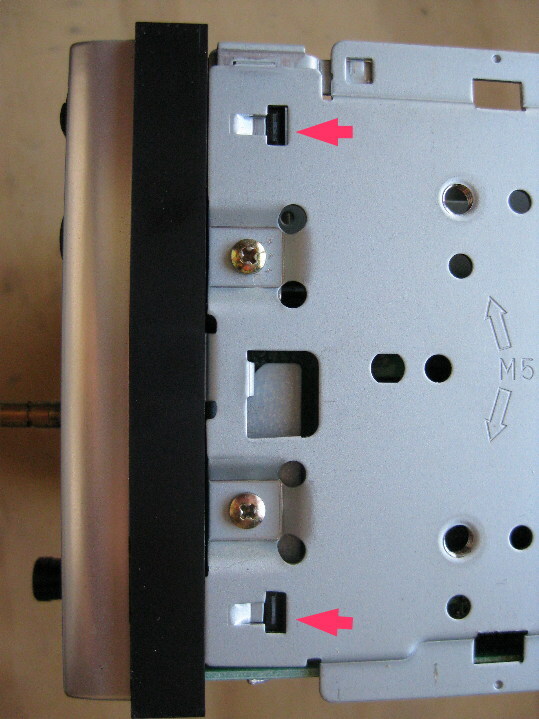 Remove the remaining two screws on each side of the unit. The outer sides and upper rear panel should now lift off the base in one piece. Undo the four screws holding the cassette desk in and carefully lift it out. Locate the area selection jumpers. Move the jumper shown in the photo to select area 2 (NZ and most other countries). Move the jumper to the right instead instead to select area 1 (North America). The rest of the modification is the same regardless of area. 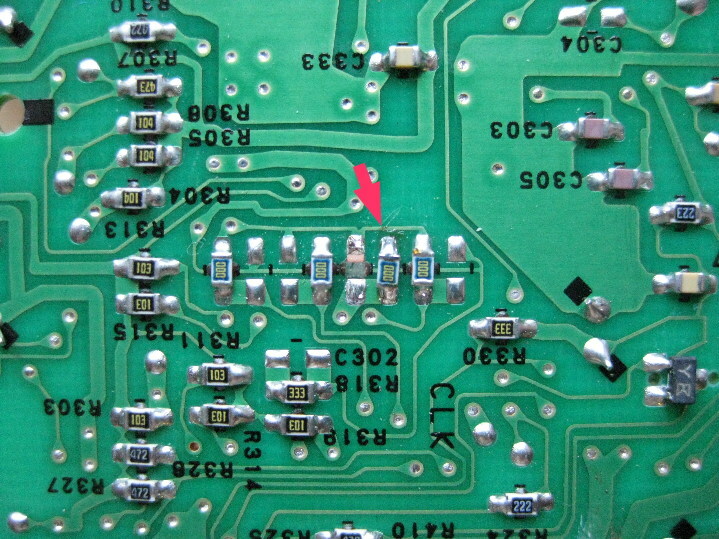 Desolder and remove the metal bracket that runs across the middle of the PCB. Desolder and remove the tuner module. This is quite difficult and time consuming! You may need to loosen the volume pot in order to get the tuner out. 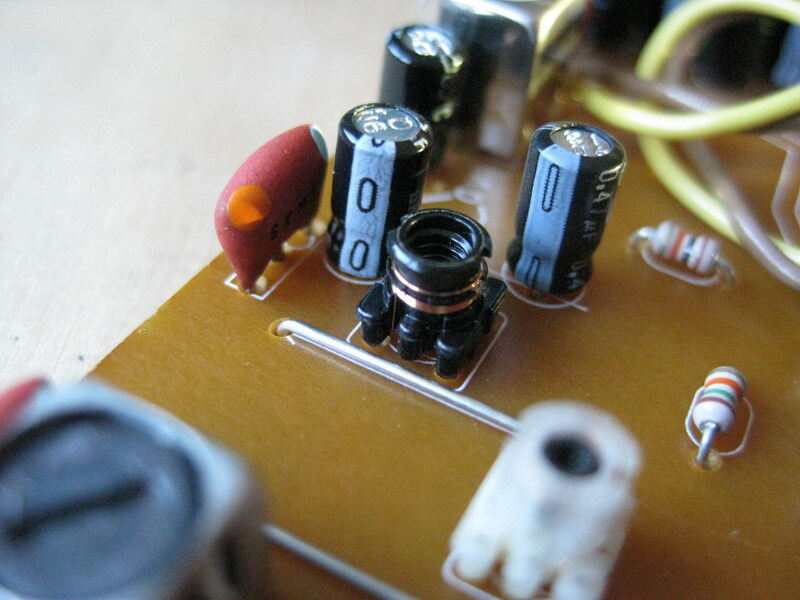 Replace the four varicaps on the tuner PCB with SVC203 types. The original varicaps usually bear the marking V4 or F0. Desolder the tuner shield and remove it. 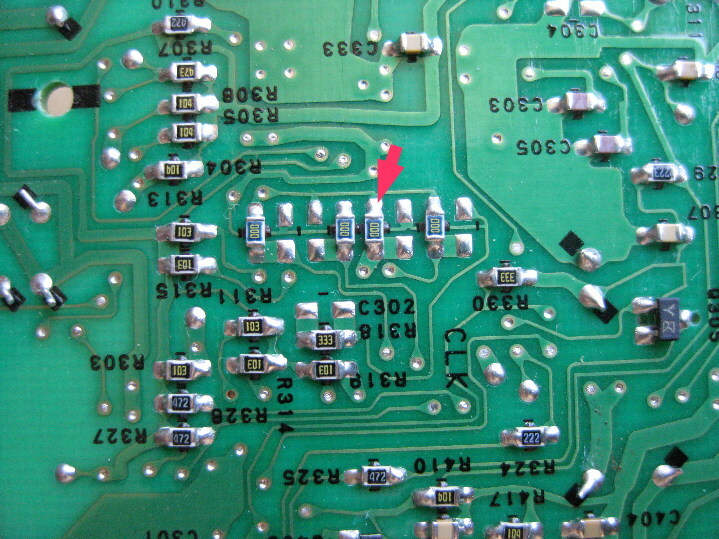 Locate the small black coil shown in the photo and desolder it. Note that it has three terminals; only two are used. Cut the wire leading to the top of the coil and remove one and a half turns. Solder the wire to the previously unused terminal. Solder the coil back in place. The photo below shows the modified coil installed back into the tuner. Reattach and solder the shield to the tuner. Install the tuner back onto the main board. I’m not exactly a radio buff so here’s how to adjust the radio the kludgy way without any fancy test instruments! If you are a bit more clued up in this area you might have a better way of doing this. Attach the front panel being careful not to damage the two connectors. It should sit in place without any additional support but be careful not to knock it. Connect power, an amplifier and an antenna to the stereo and confirm that the FM tuner now searches the frequency range you expected. Try auto seeking for an FM station. The tuner should do this quickly but may not lock onto a station by itself at this stage. If it suddenly slows down you need to retune the coil in the tuner as described in the previous section. Remove more winding to shift the reception up the band. If all is well tune manually into a local station and confirm it sounds OK and gets stereo reception. Mark the position of the top coil indicated in the photo. Tune into a known weak station. Slowly adjust the coil until the signal appears to be at its peak. You will probably find this is close to its maximum clockwise position. Be careful not to over tighten it as it is very easy to damage; the moment you feel the slightest change in resistance on the screwdriver you have reached the maximum. Now try seeking stations. You may find this works OK for strong stations at the lower end of the band and then gives up. 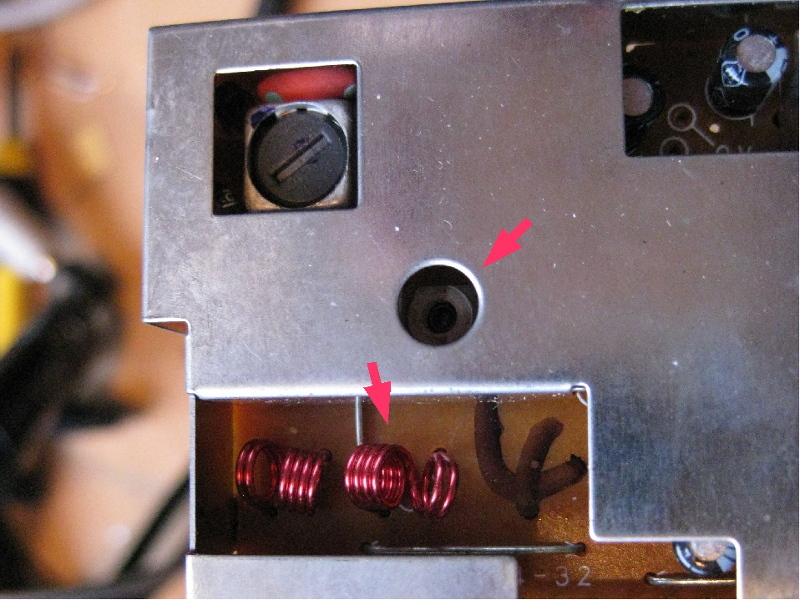 Use a small plastic object to widen the gap of the lower coil marked in the photo. Do this in small increments until the radio seeks properly across the entire band (or as much as possible). Once down, power cycle the radio and confirm it still appears to operate at its peak performance and that the stereo indicator comes on when you tune into a sufficiently strong station. 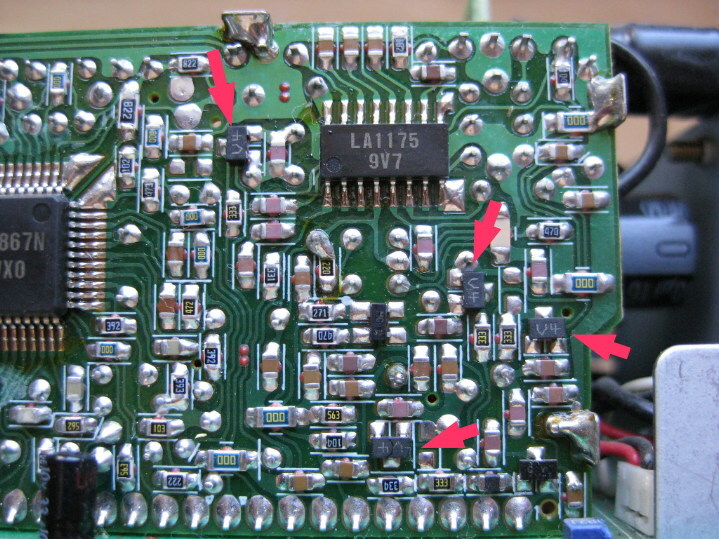 Once you are happy with the radios performance, take a moment to rework the solder joints where the metal chassis components are soldered to the PCB, and also the joins on and around Q408, Q423 and Q424 as these can often crack a little over time. Finally I’d recommend checking that all of the features (CD player, controls, backlight, etc) still work as expected before installing it into a car! If you install the modified radio into a Japanese import car the reception may not be as good as you would get from a car produced for the local market. This is because the antennas in JDM cars are usually tuned for the 76-90MHz range and often use horizontal polarisation. i have on hand a EF-1080I, i not own subaru. if you know can tell me green connector pins layout speakers/power..etc. Thanks so much! can this conversion make with PF-40251-C..mcintosh with MD slot. No it won’t work on most MD models including the PF-4025I. Do you have a manual for a PF-2142I. Sorry no I don’t have one, but I sure wish I did! It seems the varicap replacement isn’t needed if you have F0 varicaps, I’ve ordered my SVC203’s, but I’m sitting here listening to 99.0 FM, without changing them… clear as day. Yes it does work fine with the original varicaps but you will likely find you won’t be able to reliably tune the entire 87.5-108MHz range due to the limited capacitance range of the originals. Try tuning into stations towards each end of the band and see what happens. I can reliably tune 100.6, and 88.6, the two most ‘extreme end’ stations that can be received around here… The only problem I have is unreliable seeking from around 95.0 upwards, but that may be to do with the coil that had to be stretched? hello have you ever tryed changing a panasonic cq-tx5500d to recive from 87.5-108MHz as used in the UK? what contry are you located in? i have on hand a PF-1242I, i not own subaru. if you know can tell me green connector pins layout speakers/power..etc. Thanks so much! What analog can be user as EF-1080I ? May be other model Clarion ampfilier ? Hi, can you help me, can you describe what is the right jumper for North America? and if you have the diagram of this radio? Am in kenya and the so called fm expander are so irritating. Mine is a toyota ISIS. what do i do? Do you know where to buy the scv303 varicap in Australia or the net. I have been looking but have had no luck so far. I have done everything discribed but am waiting to find a suitable varicap. Looks like Element14 no longer stock them. 😦 Mouser and Digikey do but the minimum order quantity is 3000 parts. If I find something I’ll post it. Hey I just bought a 2000 Subaru outback with a mcintosh pf-2142i headunit and a ef-1080i amp aswell as the four door speakers and the sub. I’m taking it all out and replacing it but I’m confused. If the 13 pin DIN conector was the output to the amp what was the other rectangle connector for? And to wire the new head unit directly do the speakers which wires would I have to connect it to, The ones under the seat or in the dash? Also there is a conector in front of the right hand door below the fuse box is that to do with it aswell? The rectangle connector is CeNET for connecting to a CD Stacker or TV tuner (both were factory options). You can also buy interfaces to connect iPods, auxiliary inputs and even Bluetooth to the factory head unit via this connector. To wire in a new head unit you will need to connect the speakers via the plug under the seat. You can use the old head unit to amp cable to pull new speaker wires under the carpet. Still a lot tile unsure sorry. So the speakers that are in place now run directly to the white conector under the seat? And the rectangle one I was talking about is identical to the one under the seat and came from the back of the head unit. But what confused me was that when I tested it there was continuity between the corresponding pins on the two identical connectors (under the seat and in the dash) and I don’t see why the output of the amp would be connected back to the head unit. Thanks for your help! It’s possible that the connectors under the seat and for the head unit are wired together, but not according to the service manual. There is no amp in the head unit; the speakers should be directly connected to the amp under the seat. The speaker wires still exist in the dash wiring (easier for Subaru to use a common harness) but are not normally connected at the door plugs. In any case the pinout of each connector is quite different despite the fact they use the same type of plug. I’d suggest buying a Subaru adapter for your head unit to save cutting the harness and see what happens when it’s connected. If the speakers work then there’s nothing to worry about. If the speakers don’t go then you will need to run some wires under the seat from the head unit yourself, or change the door speaker wires over to the standard harness at each door connector. Turns out the continuity was only between power pins. now I have put both my subs in the boot and four new speakers in the doors. Tomorrow I’m going to run speaker wire accross and down the side of the seat to join the conector. I couldn’t seem to pull the exsisting cable under the carpet and I have other cables for the subs running that way so it seems easier. Thanks again for your help your pin out diagrams of the amp were very helpful and I probably couldn’t have done it without you. Hi, modifications done without varicaps (hard to find from stores) radio can scan entire 87.5-108MHz range but i can’t find any stations? what i done wrong? Measure the VT pin; you will likely notice that it’s stuck at around 8v which means it’s unable to tune across the band and is stuck on a single frequency. The display simply shows what frequency the microcontroller is instructing the PPL chip to tune to. If the PLL can’t do as asked due to the LC side of it being way off the mark it will simply give up and the radio will sit at the extreme end of whatever range it’s currently tuned to. You can partially fix this by modifying the coil but the radio will never be able to cover the entire 87.5-108MHz band with the original varicaps fitted as they don’t have a wide enough capacitance range. Great site. Have just picked up this head unit and the associated amp from eBay (Japanese domestic dismantled) and intend on installing it in my Australian 1990 MX5 (I want the retro look on the cheap and these look so perfectly retro). I gather that the connectors are non standard on the head unit and amplifier (Subaru specific). As the connectors were all cut off the amp and the head unit, do you happen to know where I can source these from readily? If you have any contacts that I could purchase them off it would be most appreciated. Much thanks in advance. Apologies, I meant output for the amp. Yes they are Subaru specific. They are quite commonly available from wrecking yards (at least in NZ). 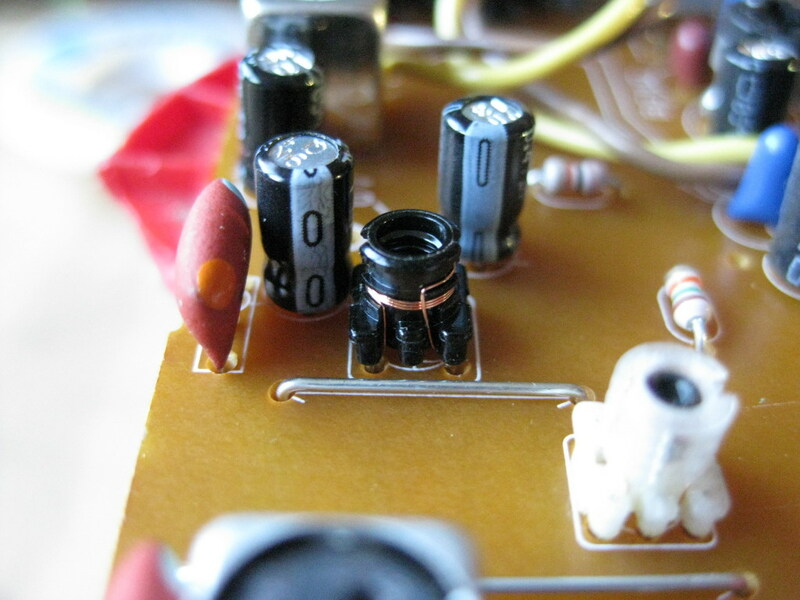 If you can’t find an amp plug just use a head unit one and ensure you follow the correct pinout. Worst case I might be able to track something down locally. Hi there, excellent info, thanks! My 2142 (in a 2000 B4) has trouble with the front panel buttons not always working & the display showing hieroglyphics, otherwise it still sounds fine. Off the top of your head do you know how it’s connected to the PCB? I don’t have a spare on hand & just want to be prepared when I pull it out to have a go a fixing or replacing it. Cheers. Great write up on hacking these head units. unfortunately I don’t have the skills, knowledge or equipment to tackle this job, even though I’d really like my head unit to be able to do what your does. Would u consider having a crack at my one for some cash? Hi John, what type of stereo do you have? The varicaps I used for replacements don’t seem to be available any more. I could probably look into something similar though. The job itself takes a few hours as it involves pretty much tearing the stereo right down. Ive got the Macintosh stereo from a 05 Lecagy wagon(Japanses domestic model) Im pretty sure its the newer one of the same model mentioned you modified in your hack article. I’d be able to remove the stereo from the car no problem, just from there actually modifying the electronics i’d have no idea. Thats a buyer about the parts not being available. I’m quite surprised there isn’t a market for a service like this, seems to me in NZ with so many import vehicles coming to every year it would be a commonly requested service. Those later units are much easier to modify – no replacement parts (such as varicaps) are needed. There’s just a couple of coils to tweak and a jumper to change. I did modify one but didn’t get photos – I may have an opportunity soon to modify another so I’ll post a how-to guide. I’m in the same boat. I’ve just bought an ’04 JDM Legacy with McIntosh CD and minidisc player. I’m very interested in modifying it for the NZ frequency band. Do you think you’ll be able to write up the process for the later model? I’d be happy for you to use mine as the ‘Guinea pig’ if you like. Although I’m keen, i’m not sure my soldering skills are up to the challenge. I should have chosen E&E over mechanical I guess! Hello! Thanks for your job with the unit. I recently bought one of these radios in a swap store. Has the connector and the other coaxial cables cut. I connected the radio to 12v and appears SYS flashing in the screen. And it does nothing more. I think it is related to the CE-NET port. That’s normal when it’s powered up for the first time. Just turn it on and it should work. If you are working on it on the bench it will do this every time you power it up. It doesn’t in a car because it normally has continuous power from the battery. It’s it’s not responding to the buttons, remove the front panel and check that the connectors between the front panel and the main PCB don’t have any dry joints (relatively common). Also check that the supply rails to the front panel are all as indicated on the PCB – there’s normally two 5V rails, an 8V rail and a 28V rail. Firstly, I understand the interconnect relationship between the head unit and the amp; and where the speakers connect. I don’t understand the DIN receptacle + a second DIN receptacle on a short cable as well? Why both, and which one do I use?? Do I also need a separate power feed to the head? Also there is a wiring harness (same type as the amp) on the back of the head that I can only imagine it’s use … steering wheel controls and dimming …? Would love some help on this! I’ve picked a wiring harness adaptor for an ’06 Civic I’m thinking of putting it in. I’ve tried bench-powering this up from the amp only (with the DIN connected to the cable DIN recep’ on the head). Nothing. Secondly- and I have to ask- would you, by any chance, have access to a manual ? Alot of questions here might have been avoided. Any help is most appreciated. Great site. The amp connects to the head unit via the DIN connector on the short cable. 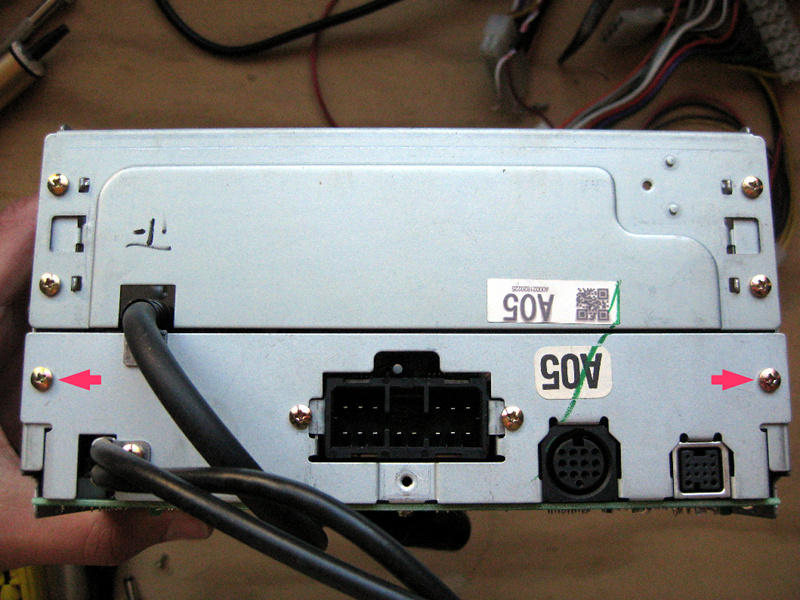 The other DIN connector is for connecting a CD changer or aux input. The amp and head unit booth need to be powered separately via the large rectangular connector. Despite being the same connector the pinouts are different. The amp one you can find on my EF-1080I page and the head unit one is a standard Subaru pinout. The speaker pins on this head unit don’t do anything of course as the amp is separate. When connecting it up the amp should be permanently wired to the battery via a 20A fuse and using cable rated for that current. Make sure you use both battery and both ground pins together. The head unit automatically switches the amp on and off via the DIN cable. Sorry I don’t have any manuals for these older units, particularly JDM ones such as the PF-2142I. Even the Legacy service manual doesn’t describe them in much detail. They are pretty straightforward to operate though – in fact they are very simple head units as far as features go. Thanks for the reply – And, I understand the priority system! Wow, are you really replying at 7 am though? You’re a trooper. Going to review the Subaru doc. Thanks kindly. Also trying to find a workaround on this 8 ohm nonsense ..
No the amp won’t power the head unit, the power signal is just a remote trigger for the head unit to switch the amplifier on. It operates in exactly the same way as the remote cable on an aftermarket amp and can be used for this very purpose if desired. I wouldn’t get too caught up about 8 Ohm speakers as the amp chips will safely handle a 4 Ohm load. Just boost the sub gain by about 3dB to compensate and the end result will be that the entire setup will be slightly louder for the same volume setting on the head unit but still remain in proportion. The only thing is that it likely won’t deliver increased total power versus 8 Ohm speakers as the PSU won’t be able to supply the necessary current. Thanks! buttons were dirty. The radio is on. I connected a speaker and earphones to the audio output and does not sound at maximum volume. I have understood that an amplifier is needed, but it should give at least a small outlet? I found my mistake. I was connecting me to the Subaru standard audio 14pin plug. Apparently this radio no sound for this way, sounds by circular plug to the amplifier. Correct – see this post for the pinout. If you are connecting to a non-McIntosh amp you only need to use the + outputs. Now it’s gone & no reply ?? Would love a little advice .. Thanks for your help. Now I work in the tuner conversion. would this work and display the correct station freqs ?? Almost certain it will work as expected, provided you find the correct jumper to set. so should I swap the ccc boards whole? or there might still be ‘wrong band’ related stuff on main board? Yes you can swap them whole but it’s not the entire process. First check for any jumper resistors around the microcontroller on the main PCB. Sometimes they are labelled AREA 1/AREA 2 or sometimes they aren’t labelled at all. Before swapping the tuner modules, try switching the jumper resistors around one at a time (be careful you don’t short out the 5v rail to ground though!) and see if you can get the display to tune 87.5 – 108MHz. There is often two modes – one steps 200kHz at a time when tuning (North America) and the other 100kHz (nearly everywhere else including NZ). If you get this working then swap the tuner modules and you are done. If you don’t manage to get this far then swapping the tuners won’t help you. If you can send me a clear photo of the main PCB around the microcontroller (both sides) then I might be able to help further. Sorry for the slow reply – bit busy lately! 🙂 Anyway looking at those pics this looks like the money shot: http://postimg.org/image/4424582kr/. If I were a betting man I’d suggest moving the bottom resistor in that box down to the lower two solder points near R739. Can you please post that PDF link again? It doesn’t seem to work any more and I lost my copy of it. Once I see that again I might be able to give a more useful answer. Also, what are the model numbers printed on the outside of the two units? still have to swap the tuner boards, right? That makes sense now – the PCB looked a bit different to what I’d normally expect from Clarion. I’m not very familiar with Pioneer units unfortunately. The tuner swap would certainly work for a Clarion but I’m not sure how Pioneer implement their regional changes so it might be a bit risky. I’ll see if I can find one for sale and open it up. All that said they both look like Japanese units as they both have the traffic info button. If that’s the case there wouldn’t be much point in a tuner swap anyway. 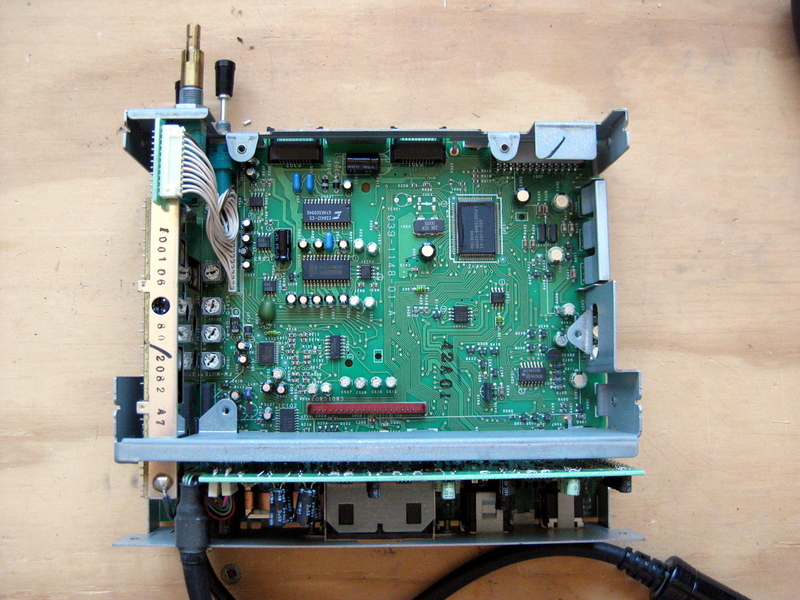 Does anybody know if it would be possible to transplant the tuner from a NZ headunit into the japanese head unit? You can if the tuner is a close enough match, but you will still need to change jumpers as well. If you can’t do the latter then it’s possibly a waste of time. Which side should be welded varicaps? Or it does not matter? I looked at the diagram of the varicap and appears similar in both directions. It will be fine – all the connectors are the same so it’s a drop-in replacement. In fact the two (Aus and JDM) are built on exactly the same platform; the only difference between them is the firmware and lack of MD player in the Aus/NZ version. The NZDM Subies are actually Aussie models anyway which are in turn derived from the European/UK model. That model looks like a pretty simple conversion – it’s likely based on a very similar platform to some of the Subaru radios including the firmware. The jumpers typically aren’t labelled – I often end up doing it trial and error by changing each one and powering on the radio to see what happens. Takes a bit of patience though! 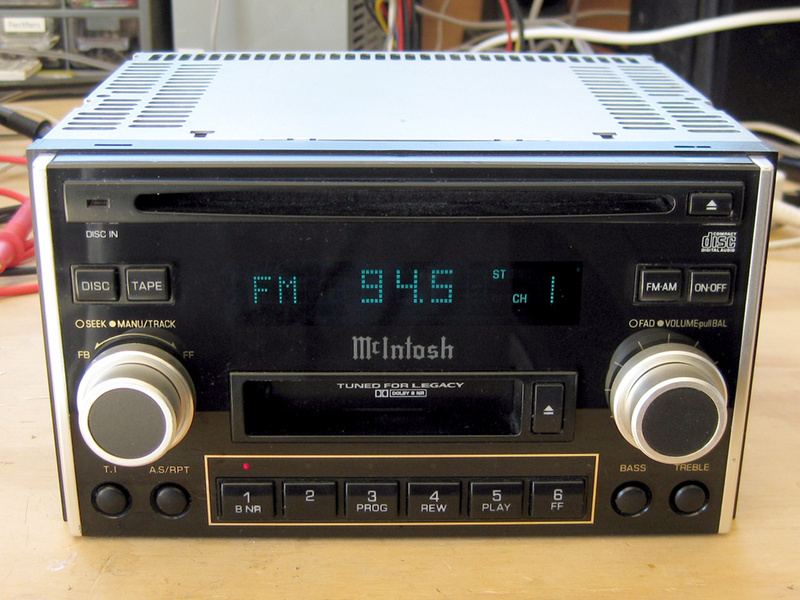 Do you have any experience with a Japanese Kenwood MDV series, MDV-X701w Navy head unit ? Was looking around for info on getting into a Kenwood MDV-X701 W Car navi system and hoped some of your clever guys could help. Worldwide I know there are many who have the same headset and would like to change it. Not sure sorry, from what I can determine it’s a JDM-only model so there’s no simple means for conversion. OK So how do I go about getting an Australian version of the PF2142i? I want the CD and cassette. Also if I bought a JDM version and sent it to you would you be willing to do the modification for my son. I want to do this as a gift to him for graduation. I could have a go but the varicaps are a bit hard to get now. Are you NZ based? As for an Aus/NZ version of of the head unit you would probably be best calling around wrecking yards. They used to go for a premium as they were so hard to get, not sure if that’s still the case. There are still often JDM ones being listed on eBay.